Despite having taken a dramatic turn, the 47th World championships left us with a number of beautiful routines. Here are my top favorite ones which I deeply enjoyed watching, and in case the reply button is not working, sorry I broke it. Her opening tumbling pass is alone a real head turner. The Canadian gymnast is one of two women who have competed the double front half out at a major international competition. The skill was rated an E previously but was upgraded to an F starting from 2013. Moors performs another rarely done pass, a double full forward (D) to a full (C). She also performs the highly artistic Semenova turn (D), and a Ferrari (D). 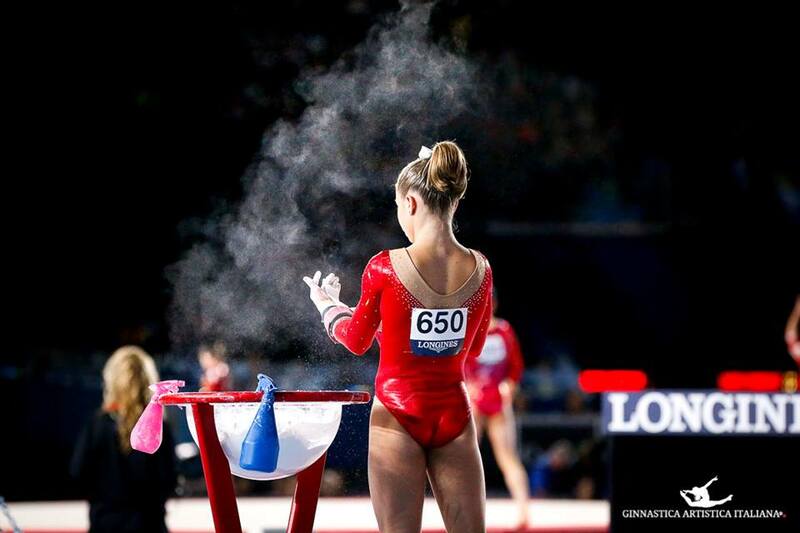 The fresh senior shows artistry and grace in her floor routine, something which we don't see quite so often nowadays. Her elegance and beautiful style earned her the Longines Prize for Elegance in the championships. Moors qualified to floor final and finished in fifth place. She had the lowest difficulty score and the second highest execution score in the final. 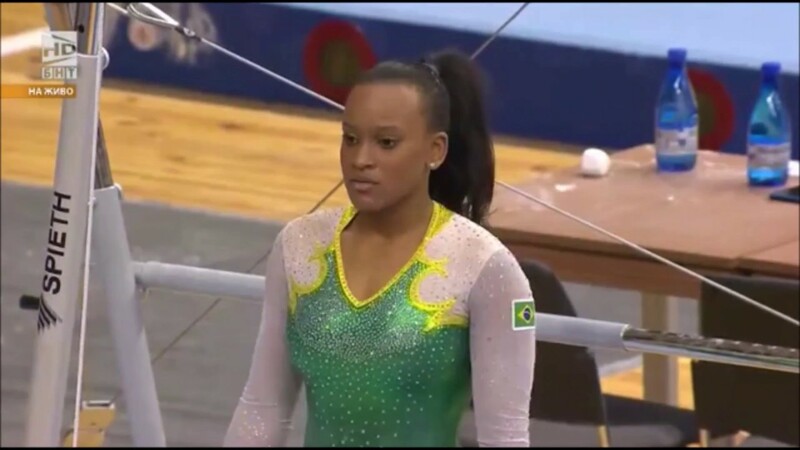 A routine that includes a Nabieva (G) to pak salto (D) to Van Leeuwen (E) cannot NOT make our list. Eremina had a highly appealing uneven bars routine which earned her tons of fans. She had the highest execution score in the event final but finished in second place due to China's Fan Yilin outscoring her in the difficulty panel. She is so easy to watch on the apparatus. While there is - like - a lot of room for improvement, her outstanding technique has her make our list. Jade makes her difficult tumbling look so effortless. She twists so fast that there is room for one more twist. The double twisting double back tuck could easily be a triple which has never been done before in women's gymnastics. She also starts her full twist so early in her full twisting double layout which has us believe that she could do the Moors or the double twisting double layout. She has clean style which probably what earned her the highest execution score in the floor final. What Carey needs is to put energy in her choreography and to allow herself to connect to the music. 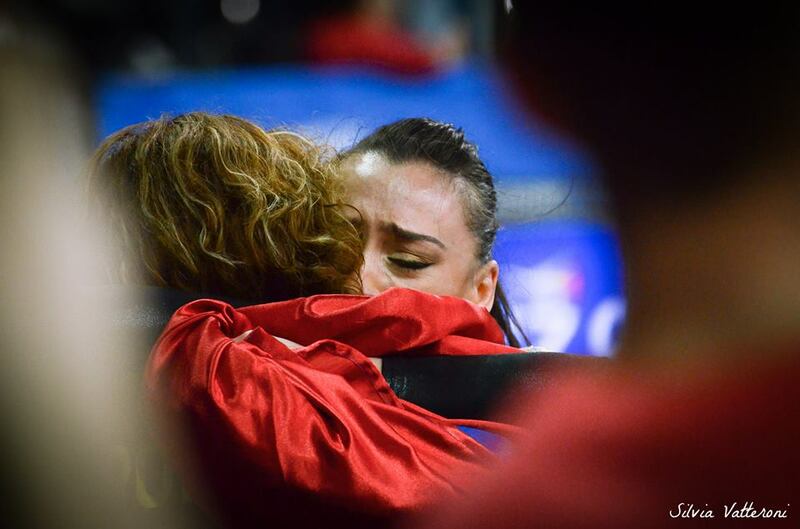 Varinska's performance in the championships made longtime gymnastics fans feel so nostalgic for the days where Ukrainian gymnasts had a strong presence. In Montreal, the first year senior became the first Ukrainian gymnast to qualified for the all around since 2007 and the event finals since 2010 at a World championships. 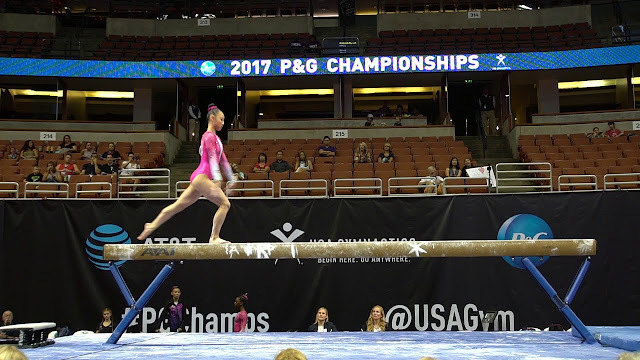 On the uneven bars, Varinska does an extremely unique combination; a Maloney (D) to clear hip circle (D) to Tkatchev half turn (E) to straddled jaeger (D) which is worth massive 0.6 connection bonus. She swings the bars so smoothly. To be highly competitive, she needs to upgrade her routine (it is rated at 6.0) and to be more confident on her Tkatchev with half turn to Jaeger combination as she can be seen bending her legs which what costs her heavy execution deduction. Yes, her routine lacks difficulty and originality but she has beautiful lines and swings the bars gracefully. She is so elegant and demonstrates power in her flight elements. Despite having a noncompetitive D score, her ridiculously high execution got her a spot in the event final. She got 9.066 while her D score was 5.5. The most difficult routine was Chinese Fan Yilin's which was rated at 6.5. The second lowest, among the bars finalists, was Ukrainian Diana Varinska's which was rated at 6.0. Hopefully, she spices up her game by next year. Ragan Smith of USA, floor exercise/qualification. A lot of music used in floor routines feel as if they are just background noises. The choreography is just arm waving and the focus is only on the tumbling passes. Smith's routine is anything but that. She is full of energy and puts so much effort in her choreography which goes well with the music. Her tumbling is difficult but a bit traditional. She does a double layout (F), 1.5 twist (C) to triple twist (E) - which is worth 0.2 connection bonus, double tucked Arabian (E) to stag jump (A) -worth 0.1 connection bonus, and a double back pike. Smith had the highest execution score, among the finalists. She qualified in first place but an injury sustained during the all around's warm up forced her to withdraw from the championships. Ilyankova has a very calm approach to the uneven bars. She is so artistic and elegant. She does the Hindroff (E) and the piked version of it (F), which was originated by Shang Chunsong of China. She does three bars transition, Maloney (D), Ezhova (D) and Van Leeuwen (E). Ilyankova had the second highest execution score among the bars finalists, which was 8.866. In the event final, she finished in fourth place. Her Cheng is not perfect but she completes her twists and sticks the landing with no problem. That was her Cheng debut and I am impressed as well as excited to see more of her.